Solar lantern is an omini directional and portable light source which emits pure white light. It consists of sealed maintenance battery, solar module, charge controller and DC-AC inverter for lighting the CFL/LED. Highly efficient two-step charge controller protects battery from over charging and deep discharging. High frequency inverter offers high efficiency, more light output and long services life. 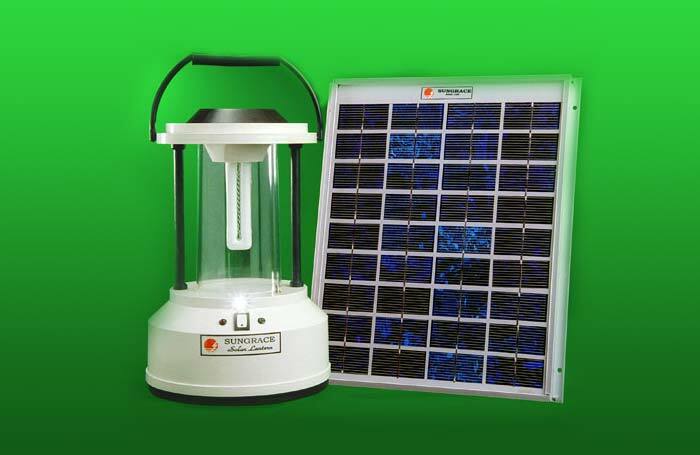 The solar lantern is available in different models depending on the CFL/LED and SPV Module wattage.